My ebook is now available on Amazon! "Eight Steps to Uncovering Who you Really Are" is a daily guide to staying grounded and focused in life! 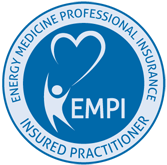 My name is Annemarie Lafferty, CECP and I have been licensed in healthcare for over 28 years. I retired from clinical care to fulfill my passion to help clients heal without surgery and minimal to no pharmaceuticals. I enjoy collaborating with physicians and families to customize the best healing solution. My diverse clinical back round enriches my Neuro Emotional Therapy by blending my 25 years surgical assisting expertise with subconscious patterns to achieve the brain-body connection needed for recovery. Previous licensure includes Ca. RDA in Pediatrics for 25 years and Ca. EMT for 15 years. Reiki 1 is my most recent certification achieved.